The vernal equinox signals new beginnings and nature’s renewal in the Northern Hemisphere! Many cultures celebrate spring festivals, like Easter and Passover. See more on blog. 1. Prepare a festive dinner and invite your friends. 2. 2019 WEALTH BOWL – place a glass or ceramic bowl (with coins) next to your house door. Every time you have loose change, place them in the Wealth Bowl to symbolically accumulate wealth. 3. At midnight, open the doors and windows for 10 minutes, so the passing year can let in the new coming year. 4. 2019 TREASURE VASE – Before the beginning of the New Chinese Year, it is recommended to make a Treasure Vase that will increase your wealth. Place the Wealth Vase in the center of your house where Star 8 resides during the Earth Pig Year. You can also decorate the vase with red ribbons. 5. Don’t lend money on New Year’s Eve because you will lose money all year round. 6. At midnight, a common practice is the “Flags of wishes” ritual: write down 9 wishes on rectangular pieces of paper and hang them in a tree or taller plant, outside (in the garden or on the deck); carried by the wind, it is said they will reach the sky faster and they will get fulfilled during that respective year. 7. If you have a fish tank, the lucky number of fishes in 2019 is 8: for example, 7 reddish goldfishes and 1 blackfish. The reddish fishes symbolize prosperity, good fortune, and the yang energy. The purpose of the blackfish is to absorb the negative energy from your house. 8. Cakes and other types of homemade sweets are not missing from the New Year Eve’s meal, Pig shaped cookies are ideal for attracting luck, prosperity, happiness, and good health in 2019. 9. The first day of the New Year must find you organized, so it is indicated to clean before the New Year. 10. These are the “lucky” fruits you must have on the table on New Year’s Eve: pineapples, round fruits for endless prosperity, oranges for gold, grapes hanging on windows and door jambs, mango for strong family ties, and lemon to remove the negative vibes. 11. Your color preferences will reflect the love and peace you desire. It’s actually our own energy that translates in the color we choose. Traditionally, the lucky color to wear on this day (for attracting peace and love) it’s red. Red, orange, and yellow are all warm colors. Warm colors often evoke feelings of happiness, optimism, and energy. 12. The entire house needs to be cleaned before the arrival of the New Year. On New Year’s Eve all the brooms, brushes, dust rags etc. are put aside. People don’t sweep or dust on New Year’s Day because it is considered as also sweeping the good fortune away. 13. “Tray of Togetherness” – a tray filled with 8 types of snacks. We can place in it: pecan nuts, hazelnuts, chestnuts, almonds, peach kernels, plums, apricots, walnuts, and small ingots, but sweets can also be placed in the tray. All these symbolize abundance and prosperity. You can serve the guests or even give such a tray (dish) as a gift. 14. Purifying the house energy – Burning sandalwood incense, filling some bowls with safflower water and ringing a Tibetan bell on New Year are customary. During this time, it is recommended to say prayers or mantras, which will positively change the energy of your home. Happy New Year of the Earth Pig 2019! This story was the foundational inspiration for my starting the N.A.S.T.Y. lunch programs. The gathering of women each quarter to provide community, support and inspiration has been a humbling experience for me. I am forever moved by the courage and hope expressed at those luncheons. Now....it's on to the next evolution in 2019. Enjoy. Some additional ideas to make the most of this powerful time from the Chopra Center. You know the adage – change is hard. I have definitely found that to be true with my organizational as well as individual clients, except when you have clarity and commitment to the change. 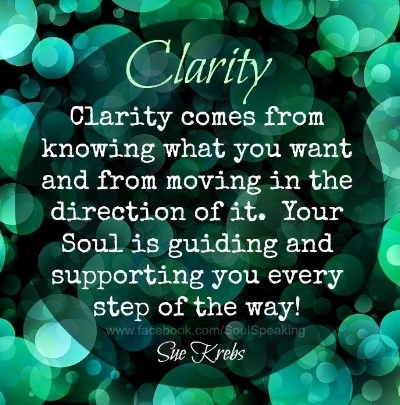 The clarity part is particularly important because we sometimes move forward with the change with only a partial idea of what it takes or means. Like when you know it’s time to change jobs, but you have not done the internal reflection work to know what is it exactly you want in a new position. You just know it’s too toxic to stay any longer. 1) What have I learned about what is important to me in my current job? 2) What are non-negotiables for the new position? 3) How do I want to feel when I am fully authentic in my new role? My coaching practice is grounded in helping with clarity and then commitment. I would be honored to help you find that clarity with a special time-limited coaching program consisting of three hours of coaching, practical exercises and a nature-based final session. Go to the Coaching for Life and Organizational transitions section of the website for more details. So much of my organizational work involves Boards. They are the SUPER volunteers of any nonprofit and can add so much to the overall performance and impact. And yet – do they? Board Source – a leader in Board Governance and best practices, released a new report recently outlining some very important trends. I wanted to share a few insights and the link to the full report. But first a little humor… and actually an important question to ask always. Boards are no more diverse than they were two years ago, and current recruitment priorities indicate this is unlikely to change. My perspective ~ I am really surprised at this result and, yet I know when I meet with Board members, they say they are committed to diversity but struggle with how to find diverse members. I also have had the personal experience of being the only Latina on a Board and wondered if I was there just as a token. The Board had good intentions but once a member, neither staff or Board members really sought out my unique perspective hence, I left after one term. So…how are you throwing the net out into the community to get qualified, committed diverse new Board members? What plans do you have to retain the members you have worked so hard to recruit? roles and responsibilities, and the board’s ability to work as a collaborative team toward shared goals. My perspective ~ The Board is a team just like the staff is a team. Many Boards do not see themselves this way but more like a collection of talented advocates. 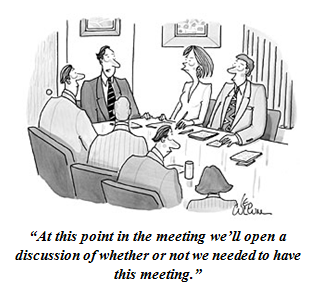 So how do help your Board behave more like a team? informality that is important for team cohesion. I encourage whether you are a board member or staff to read this important update to Board best practices. Here is the link again. This blog is delayed a week because I wanted to share some pictures from our trip to Alaska. Whenever I go somewhere new I try to open myself to the wisdom and messages of the local nature, residents and serendipity moments. I believe that the Universe is trying to communicate to us all the time but we are too busy in our mad dash world to get the messages. When we travel, the normal distractions (like laundry, meetings, traffic) are not there and we can be more open and receptive. So, what did Alaska have to teach me that may be helpful to you? We are all connected. We are all one. No matter where we live. 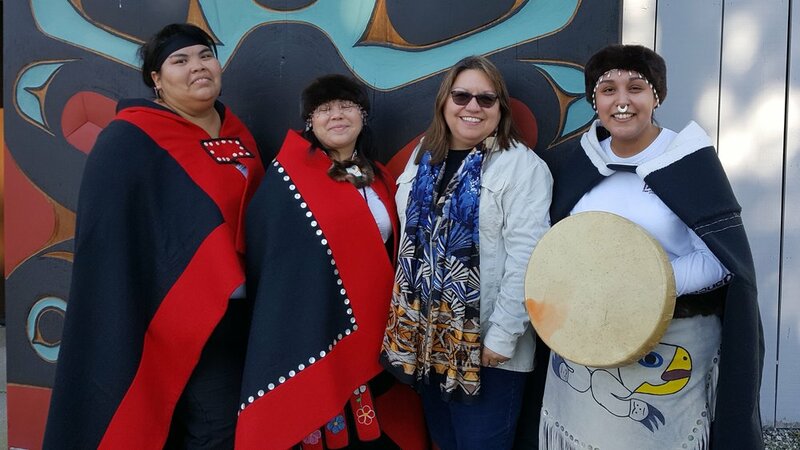 This became so evident when we visited Sitka, Alaska – the home of the Tlingit Native peoples. They have been here for thousands of years and for a few decades were scattered when the Russians invaded. My indigenous roots come from the Mapuche tribe of Chile. As I visited special centers and museums, I saw pictures of Tlingit that looked just like my ancestors. What was more common is our love and commitment to family and caring for the earth. Does your family heritage and lineage have a commitment to family and the earth? I bet it does. So how does believing that we are all one have an impact on the way we live our lives and lead our organizations? Here are few thoughts for you. *If I stand strong, so can you. If you stand peacefully, so can I. We can learn from each other easily if we release the illusions of separateness. *Seeing poverty in our communities can stir a desire to get involved and see what solutions we can contribute. A hungry child is a hungry child ~ no matter the circumstances or location. *Yes – organizations compete AND they can collaborate if they stay focused on the ultimate vision. Working together for the common good. I was so excited to run across this book that I had loved reading over 30 years ago. I was just getting into my spiritual mo-jo and seeing how ancient principles could be applied to current day dilemmas. Here is a great link for all things Pooh and a nice summary of the book. “They just sort of happen,” he said. One might think that this laissez-faire approach is not conducive to a productive life. But in the Tao one doesn’t force or interfere with things, but lets them work in their own way, to produce results naturally. Then whatever needs to be done is done. Could going with the flow really be a key to happiness? built for round holes. Square pegs for square holes. We know this. Be sure you know the shape that will work best to solve the problem. I loved these posters that share some of the Pooh wisdom. I hope you enjoy them. I love sharing ideas and information from others, especially if there is a bit of humor and whimsy. The Nonprofit: Awesomely Fun website (www.nonprofitaf.com) is full of practical important information yet delivered lightly. I really like a recent blog on what 25 things awesome board members do because I run across these issues with every client I have. Truly. It’s a quick read and lots of good ideas to discuss at your next Board meeting. Maybe turn it into a quick assessment and have all board members take as well as senior staff. See how close or away you are. Need help ~ happy to assist. Here are a few ideas my clients wish would happen and a link to get the rest. Here is the link for the remaining 22. Have you forgotten the lessons from an important mentor? I wasn’t a super young professional but my time with Olga was my first non-profit Executive Director position of an organization that worked with students of color who wanted to get into the business world. I had spent 10+ in corporate life and felt I had an inside perspective that I could share with the students. But I would soon learn that understanding what the students cared and were worried about would be more important than any tips I had on how to navigate corporate life. “It’s not about you mija…it’s about them”. She also taught me the politics of the nonprofit sector and how always working under-resourced was/is the way of life in this sector. Is there a forgotten mentor that you need to reach out to and say – thank you. I bet they would be delighted to hear from you and it’s important to acknowledge and appreciate those whose shoulders we have stood on to get us where we are now. When I started my business, people asked, “So, what’s different about your consulting and coaching?